Now a customer wants equally delightful browsing experience on his/her mobile because Mobile is one thing that majority of us carry with us always, no matter where we go. The shift from PC to mobile is clearly underway, as browsing the web via phones and mobile devices is getting more and more popular these days. In four out of five activities, smartphones scored between 4-9 percent higher than PCs in terms of engagement satisfaction. In this showcase below, you’ll find a 20 Best Free and Premium WordPress Mobile Themes because We all know that we’re going to use our blog as a tool to promote our business, so we need to have a clean, professional, corporate look. Thanks for sharing! I will enjoy this. Wow, i love this quotebro! 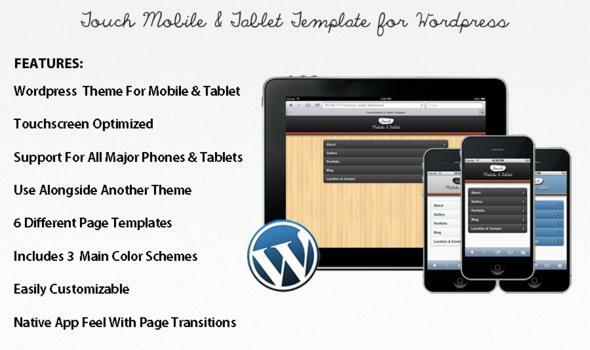 @the best part is that,we can now start a mobile wordpress template without spending too much $$$! !